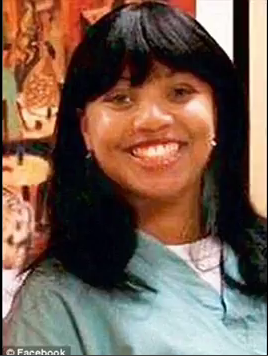 The sickening reaction to the tragic death of Miriam Carey again reminds us that the establishment loves to celebrate and justify the slaughter of Americans who apparently deserve to be executed instantly for daring to disobey the orders of anyone in a uniform. A video shows members of Congress giving a standing ovation to Capitol police for executing an unarmed mother with a baby who was brutally gunned down after driving erratically at a checkpoint near the White House. The clip features House Minority Whip Steny Hoyer of Maryland expressing gratitude to the police. His words are followed by over a minute of applause from Representatives. Rep. Eric Cantor then remarks that lawmakers “really appreciate” the DC cops for their actions. As the mainstream media portrayed the incident as some kind of dramatic gun battle and car chase involving a deadly terrorist who had attempted to attack the White House, the truth began to emerge. Carey’s worst crime appears to have been driving erratically and freaking out at a checkpoint when police aimed guns at her head. Contrary to initial media reports that Carey had somehow tried to breach sensitive White House property, the checkpoint was a temporary “outer perimeter” fence, making it quite possible that Carey was confused and frightened as to why she was being stopped in the first place. The temporary checkpoint may have been part of a drill that was running simultaneously. Perhaps cognizant of the fact that cops routinely shoot unarmed innocent people for no reason whatsoever, Carey panicked and tried to escape. After a brief chase, Capitol police and Secret Service agents unloaded at least 15 rounds into Carey’s vehicle despite the fact that her 18-month-old child was sitting in the back seat. CNN praised the cops for showing such patience by waiting for 12 seconds before they executed a defenseless Carey. D.C. Police Chief Cathy L. Lanier said the police acted “heroically” in slaughtering the unarmed woman. Another video also shows that the police car crash which resulted in the injury of an officer was entirely self-inflicted – the cop crashed into one of the same barricades that Carey was executed for breaching. A Secret Service agent received minor injuries as a result of Carey’s erratic driving.